… and comment have appeared widely for the book since its publication in May 2011, in many different international contexts, pleasingly…. From the mainstream to the specialist gardening media, academic journals to the blogosphere, the activist and the lifestyle press. If you want to read the full text, where available, remember, just click on the hyperlink in the title of each extract below. When I first saw the theme for this year’s Memefest Friendly Competition, my instant response to the word ‘Pleasure’ was gardening. Not very radical might be one’s first response but for me the pleasure of gardening does lie in its radical ‘roots’. Whether it’s planting indigenous Australian plants, growing organic fruit and vegetables, raising chickens and sharing the bounty with neighbours and friends or saving heritage seeds that can be used again and again, my politics underpins and is underpinned by my gardening…. Publication of City Farmers’ Guide is still a bit of time away. We can no longer wait [in Finland]! In the meantime, I would like to introduce a few others more or less have inspired the book…. [George McKay’s Radical Gardening] sheds light on the treatment of all forms of garden history from the social perspective. In what ways is gardening essentially a socially radical, even revolutionary action? 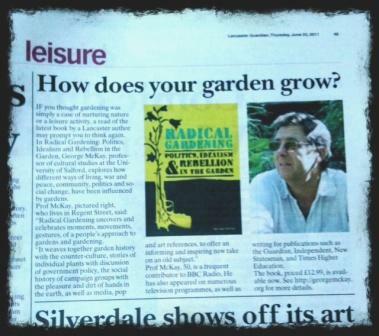 George McKay’s book puts gardening and politics together. With limpid beauty. It ranges from the historical origins of people’s struggles over land, the nature of gardening, rights to parks, socialist Utopian communities, the Blut und Boden Wandervögel movements (very critically), Garden Cities, the Counterculture, Peace Gardens, Guerrila Gardening, to Allotments…. Radical Gardening describes, sans fard, the garden as a place of liberty, and as a place where freedom is threatened. A place where liberty trees flourish and where the encroachment of the exploiters menaces. It is impossible to describe a book of such richness and depth in detail. His grasp takes in Garden Cities, the fight to protest in Hyde Park, Rosa Luxemberg’s gardening in prison, the Kibbo Kith (forerunners of the Woodcraft Folk), the Counterculture journal Gandalf’s Garden, Findhorn, Peace Camps, and the Squatters’ gardens at Tolmers Square London (not quite so wonderful in my memory I must admit). All in clear prose that shows deep research and familiarity with, perhaps the most important point, growing itself. It is a fascinating history that is quite uncomfortable in places, but I can’t recommend Radical Gardening highly enough for anyone who is interested in why gardening is important in a broader context. It is a fascinating look at a side of gardening that is hardly ever considered: the way gardens have shaped communities, people and their use of the land. Gardeners who see their work as important and are interested in the broader context of their work as well as historians, and activists will find Radical Gardening a fascinating addition to the Woolly Green Bookshelf. In fact, I’ve found it difficult to put down. … Gardening also thrives in the New Museum’s bookstore, where a display features George McKay‘s primer Radical Gardening: Politics, Idealism and Rebellion in the Garden (2011), which describes the garden as “one of the extreme spaces in the contestation of the cityscape, precisely because of its uncompromising greenness.” McKay covers the waterfront—gardens tended by suffragettes, prisoners of war, and feminists; peace gardens; hippie and punk gardens; a “Pansy Project” for gardening against homophobia—and cites earlier books like Avant Gardening: Ecological Struggle in the City & the World (1999) and Loisaida: NYC Community Gardens (2006). 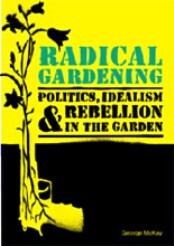 If you have ever looked at gardening as a mere leisure and relaxation activity, and at gardens as places far from ordinary troubles and political struggles, Radical Gardening: Politics, Idealism and Rebellion in the Garden by George McKay is the right book to challenge those ideas. Just forget about the description of the aesthetic pleasantness of multicoloured flower beds and the moral virtues plant care adds to daily people’s life; do not expect any history of the progressive erasure of wilderness from modern cities, or about the art of creating a greener urbanscape. Far from these common interpretations of gardening, McKay proposes an altogether different perspective by exploring the political relevance of gardens and gardening in cities. He tells us a captivating story about the subversive, innovative and creative character of gardening and the role of gardens in western history, with particular focus on Britain and the United States. Specifically, the author offers readers a description of the public politics of gardening as developed, managed and transformed by grassroots movements…. It does not take the reader long to conclude that, as counterintuitive as it title may appear in contrasting the pastoral and bucolic to subversive politics, there is a good deal of sense to Radical Gardening’s proposition. Notions of liberty, identity and resistance are bound to the garden as roots are to the soil…. McKay seeks not to artificially politicize the craft of the gardener, then, rather to recognize that the process has been in play for centuries…. That spirit of ‘reconnection’ pervades the book…. After reading this book I’ve come to the realization that my opinion that gardening should be free of the political is myopic to say the least. Gardens and the gardened landscapes are deeply rooted (ugh) in the political. George McKay uses historical examples to illustrate an ‘intimate relationship between politics, social change and landscape or garden’ many of which mirror those taking place today. The chapter on green and open spaces and their uses in protests reminds me of the #OccupyWallStreet movement…. When #OccupyWallStreet took ‘Zuccotti Park’ in Lower Manhattan issues of the park’s ownership, the effect of the protesters on safety and public health were raised echoing the same complaints raised in the book about demonstrators using Hyde Park…. Parts of this book may make your blood boil. Good! Other parts will make you laugh or move you to tears. … a highly original history of the harnessing of horticulture in counter-cultural political activism, from the Diggers to the present-day climate change protestors and eco activists. As one might expect from the professor of cultural studies at Salford University, it is a determinedly Left-wing perspective, peppered with political assumptions and class prejudice. But don’t let that put you off. The meat of this book is compelling, and benefits greatly from the eye of someone from ‘outside’ the gardens world. The author is particularly good on the distinctly dodgy early history of the organic movement…..
A challenging read exploring new ways of looking at gardening. Recommended summer reading. Collective member Alana says: ‘As an avid gardener and food politics nerd, I am really looking forward to what this book has to say’. Don’t be put off by the crude cover art: McKay offers thoughtful discussion based on his extensive research into the role of public and community gardens, the politics of the organic movement and its offshoots (biodynamics and permaculture), gardens of peace and war, and the many ways in which gardens and open space have figured into politics, society, and culture. McKay enjoys wordplay (remember that ‘radical’ is rooted! ), coining the term ‘horticounterculture’ to describe gardening-related movements which represent activism and resistance, as well as utopian (or dystopian) visions. War, peace and politics. None of these things usually spring to mind when we think about gardening, but look a little closer at the nation’s favourite pastime and you’ll find that gardens have long been hotbeds of radical ideologies, political struggle and social change. 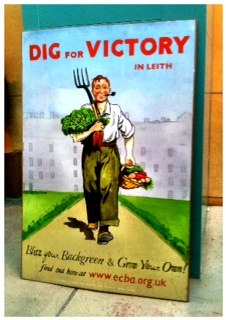 This little-considered side of gardening is the subject of a new book by Professor George McKay of Salford University. In Radical Gardening, he guides us through an alternative garden history. Glasgow-born McKay has experience of social change and gardening–the arrival of the motorway in the 1960s meant most of his family was moved out to the city’s edge. ‘In Easterhouse I do remember as a boy clumsily spilling a packet of seeds in my granny’s garden, feeling I’d failed, then coming back a few months later to be amazed by the splash of colour in that exact spot’, he says. It’s our public parks that first come under the microscope in Radical Gardening. 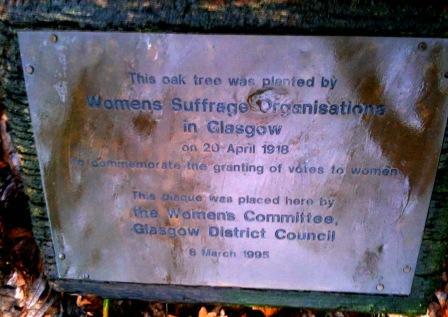 McKay shows how these parks have been the sites of political protests, from the working-class Londoners demanding the vote who tore up Hyde Park’s railings in 1866 to the environmental activists in Pollok Park[, Glasgow] in 1994, squatting in treehouses in protest against the proposed building of the M77 motorway through the park…. A fascinating exploration of the many ways in which gardening, land use, environmental conservation, methods of cultivation, etc. are shot through with politics. 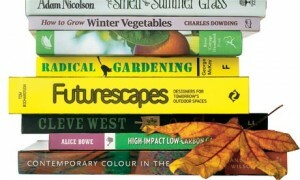 This book was published with the support of a small grant from the Stanley Smith (UK) Horticultural Trust.